Alexander McCall Smith. Photo: Alex Hewitt. Celebrated author Alexander McCall Smith and Laura Dunlop QC will receive honorary degrees at the University of Stirling’s Winter Graduation next Friday (27 November). 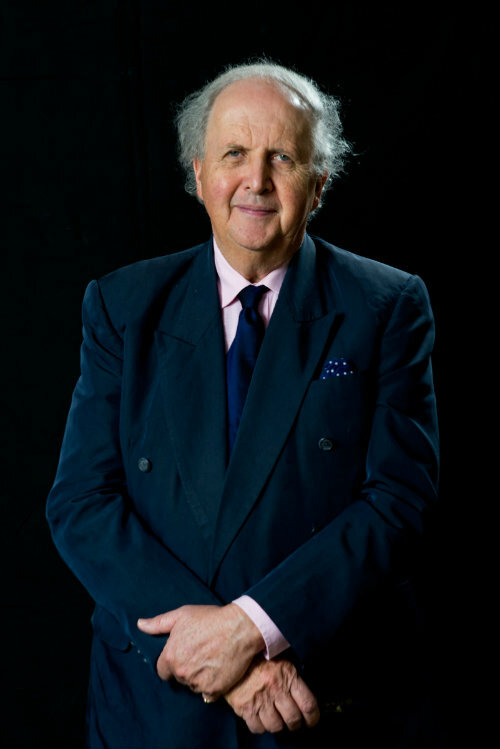 Alexander McCall Smith CBE is the award-winning author of The No.1 Ladies’ Detective Agency, which has been translated into 45 languages and sold more than 20 million copies worldwide. McCall Smith is also a qualified Professor of Medical Law, with many academic publications to his name and has penned several children’s books, including The Perfect Hamburger and other Delicious Stories. He will receive the award of Doctor of the University in recognition of his outstanding contribution to literature. Laura Dunlop QC will received the award of Doctor of the University in recognition of her outstanding contribution to the support of vulnerable people in Scotland through the practice of law, and as an outstanding role model for Stirling’s female students. Before becoming a QC, the Glasgow-born lawyer served as a Standing Junior Counsel to the government in Scotland. Since 2005, she has held office as Procurator to the General Assembly of the Church of Scotland – the first female to hold this appointment. She was also the first female law Commissioner in Scotland and was responsible for addressing protection of the right to liberty of adults with incapacity. They will join more than 650 Stirling graduates, whose degrees will be conferred by University Chancellor and BBC broadcaster James Naughtie at two ceremonies held in the Gannochy National Tennis Centre. Degrees will be conferred to graduates from the Schools of Applied Social Science; Education; Health Sciences; Natural Sciences and Sport at the morning ceremony, which starts at 10am. At 2.30pm, the afternoon ceremony will recognise graduates from the School of Arts and Humanities and the Stirling Management School. Following each ceremony, there are receptions at the Pathfoot Building. Stirling’s Winter Graduation follows recent international ceremonies in Singapore, Oman and Vietnam and the University’s Highlands and Islands Graduation in Inverness. Professor Gerry McCormac, Principal and Vice-Chancellor of the University of Stirling said: "A modern master of the serial novel, Alexander McCall-Smith is renowned for his clear, perceptive and uncomplicated prose. His writing is imbued with a dry but gentle humour, and his characters are instilled with humanity and kindness - reminding us how civilised life can be. "Laura Dunlop is widely known for her work in relation to clinical negligence and public inquiries. Her remarkable success as a QC and incumbent of high-profile public positions underscore her status as a role model for women in the legal profession. "Both honorary graduands have made outstanding contributions in their fields and are shining examples to our graduating students of what can be achieved." If you would like to send a photographer, reporter or cameraman to the Winter Graduation, and for any further media requests, please call 01786 466 653 or email communications@stir.ac.uk. Laura Dunlop QC will receive her honorary doctorate during Ceremony One, which starts at 10am in the University’s Gannochy National Tennis Centre. Alexander McCall Smith will receive his honorary doctorate during Ceremony Two, which starts at 2.30pm in the University’s Gannochy National Tennis Centre. Graduation photographs and case studies will be issued on Friday 27 November.